Shrewsbury – John “Jack” Patrick Collins, died 31st of January 2019 at UMASS Memorial Medical Center surrounded by his loving family. He was born to John H and Agnes (Buckley) Collins on the 21st of January 1931. He is preceded in death by his parents and wife Pauline (Carroll) who died in 1979. He is survived by his sister Patricia (Dan) Fisher of Chelmsford MA; children Jack (Nancy) Collins of Shrewsbury; Mary Brennan of Pembroke; Patrick (Andrea) Collins of Shrewsbury; and Erin (Dave) Hruskoci of Shrewsbury MA; and 7 grandchildren Shawna (Paul) Messinger; Patrick, Meghan, and Haley Collins; and Paulina, Holly and Theodore (Teddy) Hruskoci . John spent his early years in Salisbury MD and Martinsville VA and achieved the rank of Eagle Scout at the age of 14 ½. He graduated from St John’s Prep in 1949 and attended the University of Notre Dame, Boston University, and graduated from Providence College in 1957. He enlisted in the Army in 1951 and served with the 8th Army in the Korean War. He published a book “A Korean War Memoir” in 2015. He received his MA in History from Boston College 1958; M.Ed. from Bridgewater State in 1961; and a Ph.D. in Education from Boston College in 1973. He served as a teacher, principal, and assistant superintendent in several schools in MA and NY culminating in School Superintendent in Shrewsbury from 1978-1994. After “retirement” he served as adjunct professor at Framingham State University and Anna Maria College; Director of the Professional Development Center at Worcester State Univ; Director of the Teacher Certification Program at the College of the Holy Cross; and professor of education with the international Education Program Inc at Framingham State Univ. His numerous awards include President’s award for outstanding leadership from the MA Associate of School Superintendents; outstanding leadership and service awarded from the state commissioner of education; elected to Boston College Chapter of PHI Delta Kappa; Outstanding Educator Award, Worcester County Superintendent Association; and Outstanding Service Award from the US Congress. The Shrewsbury Education Foundation established the annual John P Collins Awards for Excellence which honor the exemplary efforts of those whose works bring to life the missions of the SPS. John has been recognized as a Thomas Merton Scholar and established two International Thomas Merton Society (ITMS) Chapters including one at t Correctional Institution, Shirley which is the only prison chapter. 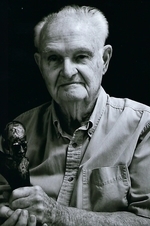 He was a well-respected lecturer and writer on Thomas Merton. In 2015 he was awarded the prestigious “Louie” award from ITMS for his contributions over the years. Ironically, Jack passed on Thomas Merton’s birthday. Over the years he volunteered at a myriad of organizations and causes. Most importantly he served as a Religious Education Teacher for his grandchildren and other families in Shrewsbury. 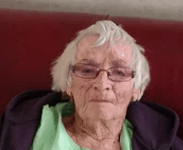 Over the last several years of his life he experienced declining health and we especially want to thank Mary Kanake for her dedicated service in caring for him both physically and spiritually. Calling hours will be on Wednesday February 6th from 4pm-8pm at Britton-Shrewsbury Funeral Home, 648 Main St, Shrewsbury. His funeral Mass will be celebrated on Thursday February 7th at 10am at Saint Mary’s Church, 640 Main St, Shrewsbury. In Lieu of flowers John (Jack) would like you to make a donation to Shrewsbury Educational Foundation or Shrewsbury Youth and Family Services. All are invited to a collation luncheon at the Barn at Orchard Meadows, 5 Orchard Meadows Drive, Shrewsbury immediately following the funeral Mass. Burial with military honors will be private at Mountain View Cemetery, Shrewsbury.